Want to see the fight between Ronda Rousey and Floyd Mayweather? I doubt we’ll ever see this fight happen in real life, but thanks to game designer Richie Branson, we can see what that fight would look like if it took place in Street Fighter IV! Well, now we know who would win if Floyd Mayweather and Ronda Rousey fought. I got bored and decided to play around with some texture files in my PC installation of Street Fighter IV. 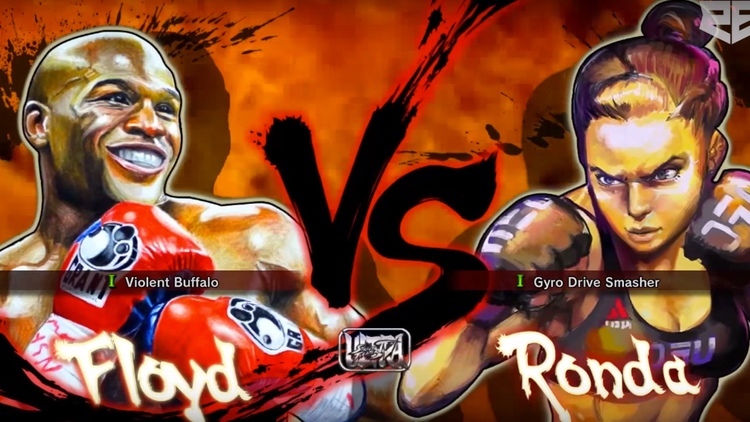 The result is this mayweather vs. rousey mod, lol. To eliminate bias, i simulated the Mayweather v. Rousey fight with both fighters controlled by the CPU.